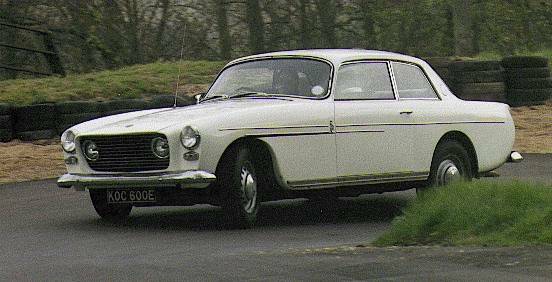 Athough there never was an official second series, the later cars featured some major mechanical changes: power steering and a revised, much lighter engine package. 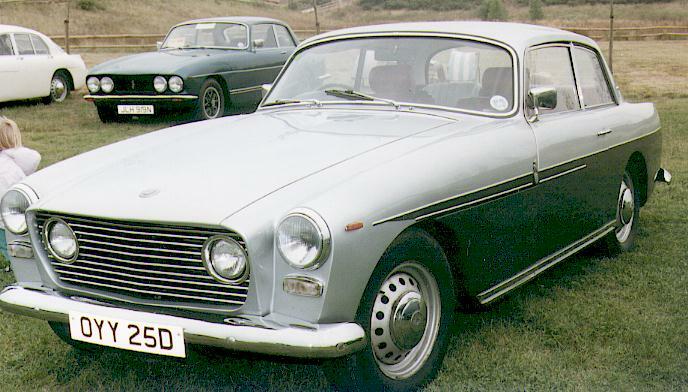 The Type 409 was introduced in 1965. 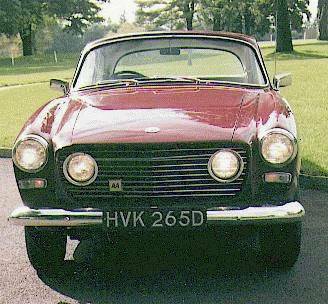 The revisions mentioned were introduced in 1967, and production ceased in 1968. Power is now claimed to be 250bhp at 4400 rpm. 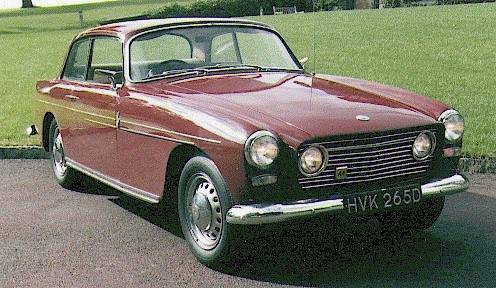 Under the bonnet, an alternator is fitted in lieu of a dynamo; the road springs are not as stiff as those on the 408 and the ride is softer. There is a lever-operated parking lock fitted to the transmission rear drive shaft; this must be disengaged before selecting gear and moving off. The rear axle also has a slightly higher gearing ratio. A heated rear window was now fitted as standard. Other points of external recognition are illustrated below. Note the rounded corners of the new radiator grille shape. The outer headlamps and the side/indicator lamps are still mounted on a flat panel set back from the radiator grille aperture cowl. This profile view shows the heavier side kickplate fitted to the lower edge of the body of the 409. Also the view shows the way that the side trims are intersected by the Pegasus emblem and Bristol badge, at the rear of the front wings. Note the excellent driving seat position mounted back from centre of the 9 foot 6 inch wheelbase at the mid point of the vehicle. The front ¾ view gives another view of the rounded lower corners of the radiator grille when compared with that of the Type 408. Driving lamps are switched on to show the effective even spread of lighting that they provide on main beam. The inner pair are dowsed when dipped beams are selected. Seen in close-up, the radiator grille aperture is rounded at all corners, unlike the 408. Driving lamps are still set recessed into the grille. Headlamps are mounted on to a flat surface along with the combined side and turn indicator lights. This element was a continuation from the Type 408, but was to be much modified, as will be seen on the next model.